Lamb’s Lettuce is a member of the Valerianella family. There are at least a dozen different species of Valerianella and to tell you the truth I’m not exactly sure which one we have here in East Texas. All I know is that the old man who taught me about edible plants showed me this plant, showed me what to look for to identify the plant, showed me how to eat the plant, and told me that it was called Lamb’s Lettuce. He had an interesting philosophy about naming plants. He used to say, “Don’t think you know a plant just because you know its name.” In other words, it’s more important to know how to identify the plant, where to look for it, what time of year to look for it, what parts are edible, and how to prepare the plant for human consumption. That’s the important stuff. So back to Lamb’s Lettuce. 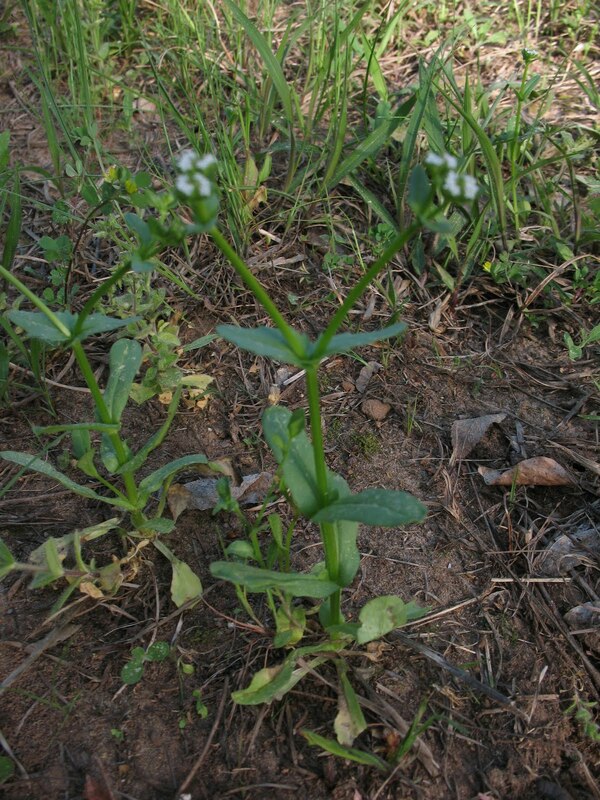 Look for Lamb’s Lettuce in disturbed areas like old fields. 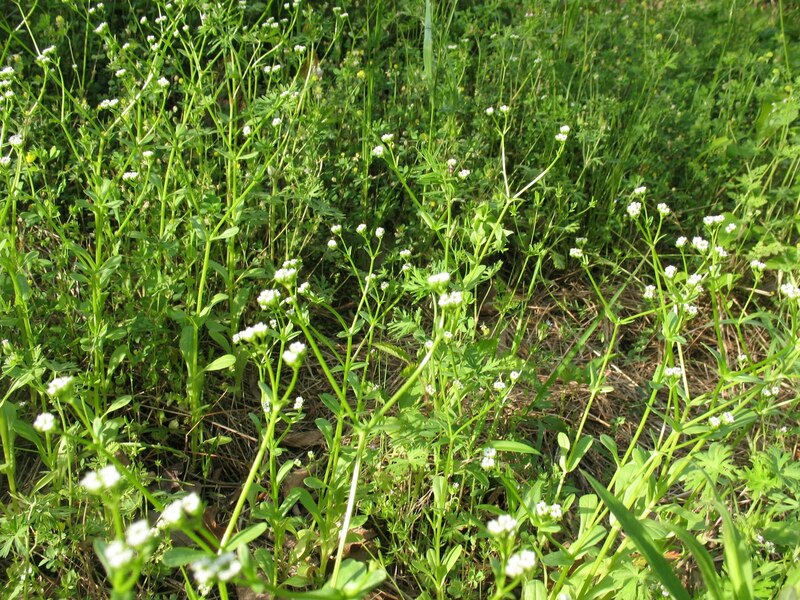 It comes up in the early spring and will have little white flowers on the upper part of the stems. The most striking feature of Lamb’s Lettuce, and the thing that makes it easy to identify is how the stems fork into a perfect “Y” shape. 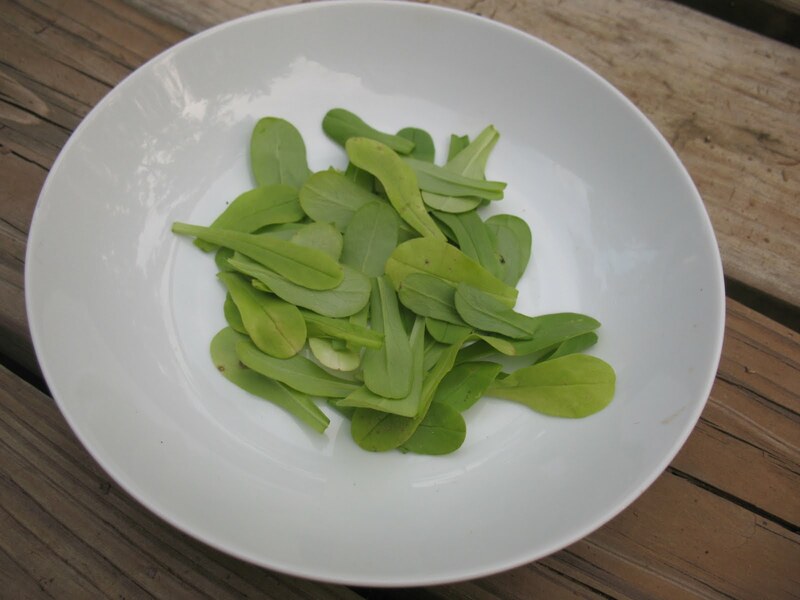 The leaves of Lamb’s Lettuce are not large, but they have a very mild lettuce-like flavor. They are a true pick-and-eat wild green. Pictured below: Distinctive “Y” of Lamb’s Lettuce stem. I like to eat Lamb’s Lettuce as part of a wild salad made with other greens that are available at the same time. Lamb’s Lettuce, Chickweed, and Yellow woodland sorrel make a good combination. 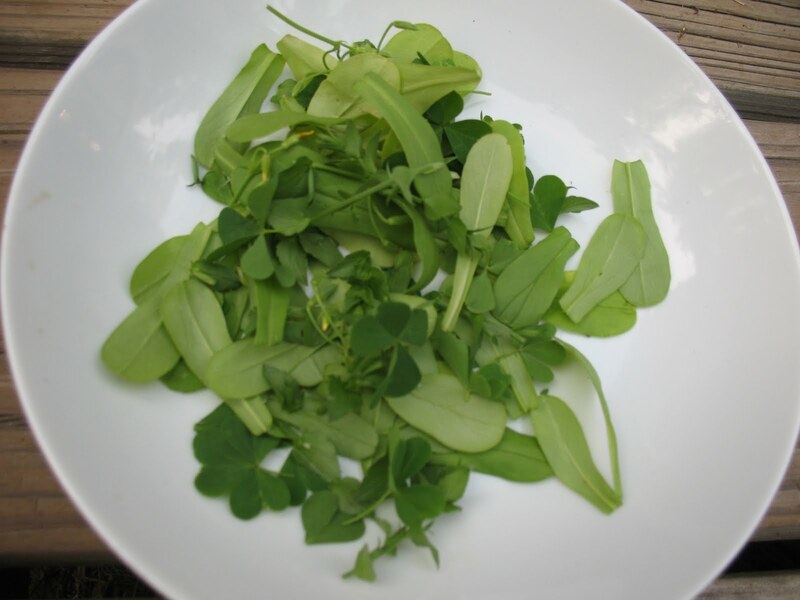 The Yellow Woodland Sorrel adds a nice lemony taste to the salad. Just wash your salad greens and if you have it add a little oil and vinegar and maybe some salt and pepper. Makes a really tasty salad. Pictured below: Top, Dish of Lamb’s Lettuce; bottom, Mixed greens including Lamb’s Lettuce, Chickweed, and Yellow Woodland Sorrel. Of course if you are in a survival situation, you can eat any or all of these as a raw nibble. I will put some info about Chickweed and Yellow Woodland Sorrel in future posts.